After lengthy planning and searching, the Commonwealth Prevention Alliance is pleased to announce the hiring of their first ever Executive Director. We welcome Jeff Hanley, who will be joining CPA in January 2019. Jeff is no newbie to the world of prevention; after graduating from the University of Mount Union in Ohio, Jeff was employed by the American Red Cross and then journeyed into the prevention field with Mercer County Behavioral Health Commission. Jeff is also already very well acquainted with the work of CPA. He served on the board for 8 years and was president of the board for 2 years. 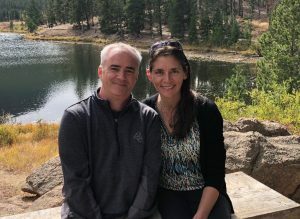 Jeff and his wife, Carrie then moved to Colorado where he was hired as Special Projects Administrator of Opioid Programs, at the Jefferson County Public Health Department (5 miles west of Denver) with a focus on Provider Education Programming and Coalition Development. Jeff returns to Pennsylvania to continue his prevention career at CPA and says that “while we’ll miss the 300 days of sun per year in Colorado, Carrie and I are looking forward to moving back to Pennsylvania.” When Jeff isn’t immersed in his work he enjoys hiking, biking and visiting small, unique towns. He also looks back fondly on the 16 years he spent coaching High School Girls Basketball. He says, though, “most importantly, I’m still a huge Cleveland Sports fan!” The Commonwealth Prevention Alliance looks forward to working with Jeff and is excited about the direction the board will take in 2019!